Entering my 7th year with SRIV, I am humbled to continue to lead this organization. Thank you to all who support SRIV. I invite you to continue this journey with all of us. Together, we can change lives for the better. to our amazing group of people who serve their community. increasing uncertainly of government funding has made your commitment vital to the survival of Southern RI Volunteers. We absolutely cannot keep doing what we do without you! Adam received his Doctor of Pharmacy degree from the University of Rhode Island in 2002. Adam, a licensed pharmacist, shares his knowledge through the Community College of Rhode Island and the University of Rhode Island, where he teaches pharmacy technicians and pharmacy students. Adam has a strong passion for community service, and earned Volunteer of the Year in 2012 through SRIV for his many contributions to Southern Rhode Island communities and residents. His past volunteer experiences include working with Habitat for Humanity and fundraising for Dana-Farber Cancer Institute’s The Jimmy Fund. Adam shares that he loves his Rhode Island community and hopes to continue his service for many years to come. He is excited and grateful to have an opportunity to be a voice for the greater community on the Board of Directors and to serve as a member of the Development Committee. He feels his “grass roots” volunteer duties are what drive him the most, especially delivering food from pantries, groceries and Meals on Wheels to elders in need. Adam is a lifelong Rhode Island resident. While he lived in Narragansett for most of the last ten years, he recently moved back to his hometown, Coventry. In addition to volunteering, his other interests include the outdoors and movies, having worked as an extra on locally filmed productions. Bob obtained his B.S. in Business Administration from the University of Connecticut in 1990 with a major in Health Systems Management. He furthered his education with an MBA from Tulane University in 1997. Bob spent 15 years in private industry, finance and healthcare consulting. While employed in Louisiana, he was licensed as a nursing facility administrator. He went on to spend 10 years in federal law enforcement. Bob is currently self-employed as a consultant. He is also focused on public service opportunities, fills his time with SRIV as our Board Secretary, and is in service to some of our partner agencies, including North Kingstown’s FISH (Friends in Service to Humanity) where he provides transportation for senior citizens, North Kingstown Food Pantry where he delivers food to home bound seniors, and the Beechwood Senior Life Enrichment Center in various capacities. Bob enjoys working events with his friends he has made through SRIV, supporting his church and traveling. Louise has been volunteering with SRIV for over 12 years. She began her volunteer career in SRIV’s office, supporting the hundreds of other volunteers in the field. She also supports the Museum of Primitive Art & Culture, where she is on the Board of Trustees. Louise is a graduate of Roger Williams University with majors in Social Science and Education. 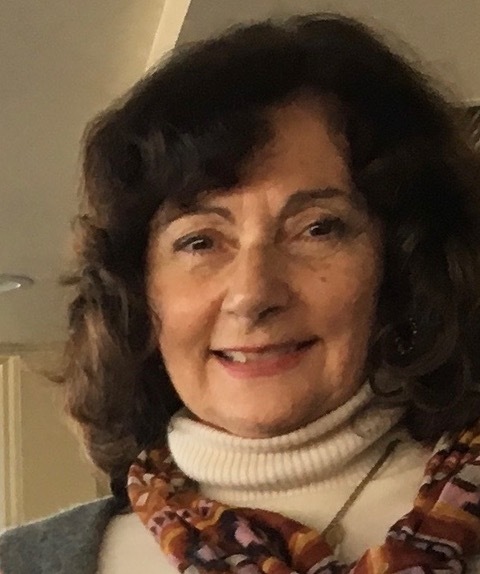 She worked in the travel industry for 32 years as a flight attendant for Eastern Airlines, a travel agent, an instructor of travel, tourism and hospitality, and she served in administrative capacities. Louise enjoys traveling, spending time with family and volunteering. Barbara joined Southern Rhode Island Volunteers in 2005 to assist with emergency shelter operations. She has been an educator for over 40 years which has given her the experience to work with large groups of children and adults. She has worked to set up the shelters during hurricanes or blizzards in Rhode Island to accommodate the needs of our neighbors in need. Barbara joined the board of directors in November and brings infectious spirit to all of SRIV’s meetings and events. Victoria Vona moved to Richmond with her husband, Michael, in 2000. She is the mother of 4 boys and grandmother of 4 boys. Victoria is the Tax Collector Clerk for the Town of Richmond. She is a past-chair of SRIV and is the treasurer for the Richmond Democratic Town Committee. She was crowned Mrs. Rhode Island International 2000. Victoria has volunteered her time to diverse community groups and causes, including the Million Mom March, Mothers Against Drunk Driving, Boy Scouts of America, Adults of Retarded Citizens, Warwick Shelter for the Homeless and Bikers for Babies event for the March of Dimes of RI. Victoria volunteered in the East Greenwich school district as a mentor and in the Warwick school district, where she lent her talents to the PTO board, planning and coordinating events. As a member of the Richmond Dog Park committee, Victoria has thrown all of her talents into that effort; the team has seen much success. As an avid community organizer and service volunteer, she has planned many successful events including one of her favorites, the Richmond Country Gardens Tour. Victoria brings those event planning skills to SRIV's Development Committee. Victoria chairs SRIV’s advisory group. Jim Transue was a reporter and editor for Travel Weekly, a publication for travel agents and travel industry professionals, for many years. He is also a former political reporter and congressional aide. He is a long time volunteer for SRIV and the South County Museum, where he sits on the Board of Directors. He and his cat now live in Saunderstown.